For Mac users, you may often fall into the following dilemma: there is a video on your Mac computer and you wish to play with QuickTime player, but when you click on the file, you get an error message says the movie is not in a format that QuickTime player understands. Another situation that often arises is when you try to sync a video file to an iPhone or iPad to watch on the road, iTunes tells you the file is not compatible with the device. Other times you recorded some excellent vidoe footage with your camera/camcorder or iPhone, but often fail to load them into iMovie, Final Cut Pro or Davinci Resolve for editing due to format incompatible issue. Luckily, all your headaches can be easily cured with a Mac video converter software. Mac Video Converter software not only helps to create files for specific devices with specially optimized screen size, resolution and other particular aspects, it also helps to save your files in the right format for all your Mac video editing software applications. 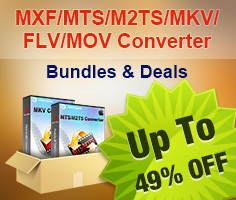 To save your time and energy, the following article has listed top 5 best Mac video converter for you as a reference. Actually, the above Mac video converters are almost on a par with each other. But with their video conversion abilities, available options, easiness, speed and quality in mind, I bet you surely have your answer which one is more favored. While as to me, Pavtube Video Converter for Mac or Pavtube HD Video Converter for Mac does win my vote as in my test. It did bring us a slew of amazing features besides its excellent video converting ability, fast speed, original output quality and no-brainer interface. Just import the video, choose the output format from the pop-up window, and press the "RUN" button, you can get the video converted.